Tandon claims a unique position in the panorama of Indian comics. On the other end of his style of comedy is someone like Johnny Lever, a comic genius in his own right, one who is full of antics and animation: wild facial contortions, pop-out eyes, full-body gyrations and such. In contrast, and against the grain in India where much of the comedy comes from the Johnny Lever kind of nautanki (operatic hyperbole), Tandon’s understated and conversational delivery is refreshing, and no less rib-tickling. Precisely because it is not too contrived or exaggerated, Tandon’s comedy relies on true wit surrounding everyday people and situations. While it is certainly very entertaining to watch Johnny Lever’s immense talent in using his entire physical persona in his act, or to watch Raju Srivastav mimic the legendary Amitabh Bachchan, what makes Tandon’s comedy particularly endearing is that it is relatable at a very personal level—we can all see ourselves in his act. While Tandon’s success has not quite reached the level of critical mass of someone like Vir Das, who has his own Netflix special, he is certainly one of India’s fastest growing comedians. Unlike Vir Das, when it comes to reaching the global Indian diaspora, Tandon faces a bit of a limitation: his performances are in “Hinglish”—with the bulk of it in Hindi. The sensibilities of his content are also directed more towards first generation immigrants. 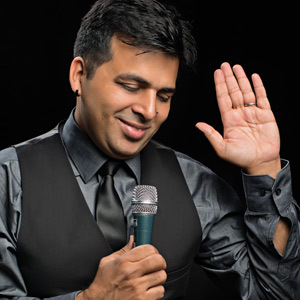 Nevertheless, with several hundred performances in India and beyond under his belt, Amit Tandon has earned his stripes as a card-carrying comedian. On his recent visit to Atlanta the unassuming entertainer brought much needed comic relief free of divisive politics and profanity—sadly, the mainstay of popular comedy in America. “Clean comedy,” a one-style-fits-all act appropriate for all ages is a unique selling point for Tandon. A storyteller at heart, he delivers rehearsed narratives with the practiced flair of a pro. Like Jerry Seinfeld, Tandon crafts his script with the keen eye of a writer, penning each word with careful deliberation. Khabar caught up with the performer in the hours leading up to his first appearance in Atlanta. You invested yourself in mainstream academic tracks of engineering and business—was there a pivotal moment or incident in your life that set you on the offbeat path of comedy? During my college days in Bathinda and Delhi, I used to write and direct plays. Eventually, I gave up all that to do a job and then set up my own business, an HR consulting firm. Around 2010, I was getting bored of what I was doing and decided to do something on the side as a hobby. Open mike was just becoming popular in India and I started doing that once a week. Vir Das had just come back from the U.S. and Papa CJ from the U.K. These were Indians who were performing successfully abroad. Gradually comedy clubs like Comedy Store Central started opening in India. A lot of pubs started hosting comedy nights. By 2013, I started taking comedy seriously. I would write a half-an-hour set to perform on stage and get paid three to five thousand rupees. Since then, the overall scene has been growing at a steady pace. Russell Peters, the Indo-Canadian comedian, credits YouTube videos of his performance for helping him gain worldwide popularity. You, too, use that platform. Has it served you well? Yes! Earlier you had to be on TV to be seen in America or even in India, to sell tickets. But now you can showcase your talent on YouTube. YouTube, Facebook, and WhatsApp have democratized the entertainment industry. The game started changing for me since I started using YouTube. I have performed in many countries since then. It has been a great geography lesson! With so many of your videos out there, do you worry that the surprise factor is lost if people are already familiar with your gig? There is a constant pressure to keep things fresh, to keep writing. I have to go back to the drawing board all the time. I always keep my eyes and ears open. The content in my live shows is not from the material in the videos. It is completely different, though it is in the same bracket—I am still talking about my family, my kids, my parents, and all that. Do you riff off the audience? A little bit, maybe for five minutes in the hour. Every comedian is different. I am more of a content comedian. I write my stuff. My commas and full stops, the words I need to stress on are very clear. I do that work on the backend myself. In fact, too much interaction with the audience is a little bit of a distraction. It interferes with my set, my thought process, because I am narrating a story. I don’t want to go to the people there. Once in a while, I do, when I need a segue between two sets. Do you get a mixed audience in the U.S., or is it primarily a desi crowd? Not a mixed crowd. My shows are advertised as Hinglish shows. It is about seventy-five percent Hindi and twenty-five percent English. The entire narration could be in English, but the punchline is in Hindi so the impact is lost on the nondesis. Do you find yourself always looking at the world around you through a comedian’s lens, searching for potential jokes in everyday conversations? Most of my comedy comes from what I see around me. In America right now, when I start my show, for the first ten minutes I just talk about America—because from my point of view as an Indian, things are a little weird. For example, the beggars here speak English. If my grandmother comes here, she would say “Tu kyo bheek maang raha hai, tere ko tho English bhi ati hai!” (“Why are you begging, you can speak English!”). We have been sending all kinds of talent from India. I think you guys need better beggars. You don’t have good quality beggars in America. They just sit there. They don’t even make an effort. Tu car ke peeche bhaag! Chhipak kisi ko (Run after the cars! Stick to somebody!). Every Indian beggar has a story to tell. Bachcha bimaar hai (Child is sick) and all that. These guys don’t even want to talk to you! They just hold up a board—this is my story. There the beggar will keep on touching you (to get your attention). Here, if you touch a beggar he may do a physical harassment case on you! When I went to New York, I saw that beggars have dogs, which made me think if the beggar was begging out of majboori (need) or is it his passion? After all, he could sell the dog and get some money! These are the kinds of things I notice and talk about. In a YouTube video posted on your website, tandonamit.com, you poke fun at women and their uber expensive designer handbags. Do people who feature directly or indirectly in your jokes take offense? How do your parents and wife feel about being the epicenter of your humor? (Laughs) Right now this has become my livelihood, so my wife is ok with it. People generally don’t take offense. If you feature them in a joke, they in fact feel happy—except for my father. Once in a while he will say, “Maine aise kab bola tha tujhe? Kab sode mangvaiya tha?” (When have I ever asked you to buy soda water?) And it is completely like him to say that! In the US right now comedians and satirists are having a field day thanks to the current political drama. Do you refer to Trump or the Modi sarkar in your jokes? Once in a while, but not in too much detail unless I have something powerful to say, or something very specific has happened. For example, I did a little about demonetization. Nowadays, I see that people get too angry about everything. Both sides overreact. No one had a point of view on demonetization. Their view was based on how much they like Modi or not. But I don’t make it a point to talk about it. Besides, my wife said to stay away from Modi jokes. Why do you abstain from profanity in your routine? Why the PG humor? I have two children—a 13-year-old son and an 11-year-old daughter, so you get used to controlling your language. I did edgy stuff during open mike earlier. But when I started releasing videos I realized that a lot of people were watching because they felt comfortable having their kids and parents around. Three generations watch together. So now I stay in that domain because I don’t want to turn them off. Which comedians—American or Indian—do you like? I like Vir Das; I respect him a lot as a senior. He is setting new benchmarks—he did Netflix. I am a fan of Raju Srivastav. Johnny Lever is a legend. He is the original standup comedian of India, in a way. The beauty of his show is that he will make you laugh and then cry and then laugh again. He is 60 years old and he still does 90-minute shows across the globe. To have the energy to stand up on stage alone and perform for that long is incredible. Internationally, I like Bill Burr and George Carlin. And I like Seinfeld because it is clean comedy. What’s next for you? TV? Films? I have put together a team of writers and we are working on a couple of projects that are still at the proposal stage. Not all are comedy. For example, we have written a ten-episode series on Jaspal Bhatti ji—I don’t think that has been covered the way it should be. Let’s see if it comes through. I am considering TV, but I am saying no to a lot of things because I want to do stuff that is in my zone rather than pander to the existing format of TV. I don’t think I fit into that. I am being selective. If you were to make a film, what would you title it? Ab Kya Kare? (What do we do now? 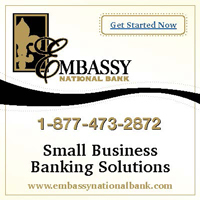 ), because there is always a problem that needs solving! What advice would you offer aspiring desi comedians? Comedy is not a career that will pay right away. My advice is to have something of a career first—maybe in the creative field, like becoming a writer in advertising or a content writer. I strongly recommend that at least for the first couple of years [you should] have a steady income stream. That way you will not have to go back to your family to ask for money. When there is pressure to make money and you are not making enough, you start taking short cuts in comedy. Say you get a corporate show and they want you to do clean comedy, you don’t have clean material so you do somebody else’s joke on stage. A lot of that happens today. But in the long term, people come to know and then nobody wants to work with you, or you get used to picking up other’s jokes and in the process you lose the ability to write yourself. How do you suggest they break the news to their family when they finally make comedy their profession? When comedy starts paying and you tell your family about it, you will have to face the music at home—there is no escaping that. Use that experience as material for your jokes!